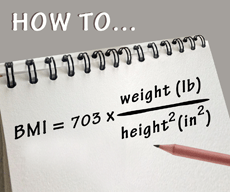 It may be that after calculating your body mass index you decide that you want to lose weight. The basics of lines and waste are fairly simple. It is all about eating less and exercising more. To get you started, we have some tips for you to put a row. The most important tip is to not make that you are saved within a week of your unnecessary pounds. Many diets sound too good to be true, and in many cases this is also not true. There are hundreds of ways to lose weight. Walk into an average bookshop and you'll find plenty of books on the subject. We think the best way to lose weight does not come from a book, but you can find it within yourself. As a BMI test shows that it is wise to go on a diet, it is important to choose which all nutritional needs are addressed. Dieting It is important to cut down on unnecessary foods such as sugar and fat. In addition, it is of course a good idea to move. Again, it is wise to begin. Calm and controlled So do not go straight 10 mile run, but do it step by step. Thirty to sixty minutes of light exercise can be enough to lose weight. It is very important to cultivate because muscles burn fat muscle mass. Calculate which is a healthy weight for someone of your height. Maintaining a healthy weight is very important, given that there are health risks associated with both underweight, overweight or obesity. Remember, every individual person has an ideal weight. This personal weight depends on several factors: are you a man or a woman and you have a light, normal or heavy body physique? Remember also that when you have a significant muscle mass, you can override the specified ideal weight more. The values ​​calculated using the BMI method do not apply to children, the elderly, people with a large muscle mass, such as bodybuilders and athletes, and pregnant or lactating women.